If you think you have to give up all of your favorite traditions to celebrate an eco-friendly Easter, think again. It’s easy to enjoy everything from dyeing eggs to making Easter baskets while still having a green holiday. I have to admit that Easter is one of my favorite holidays. I love the colors, decorations, and traditions. 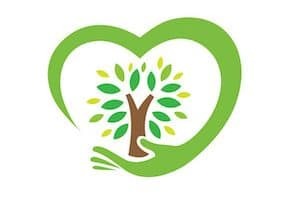 When I decided to live a more eco-friendly life, I was determined to make sure I didn’t have to give up anything I love about the holiday. Fortunately, I found it was actually incredibly easy to celebrate an eco-friendly Easter by following these simple tips. 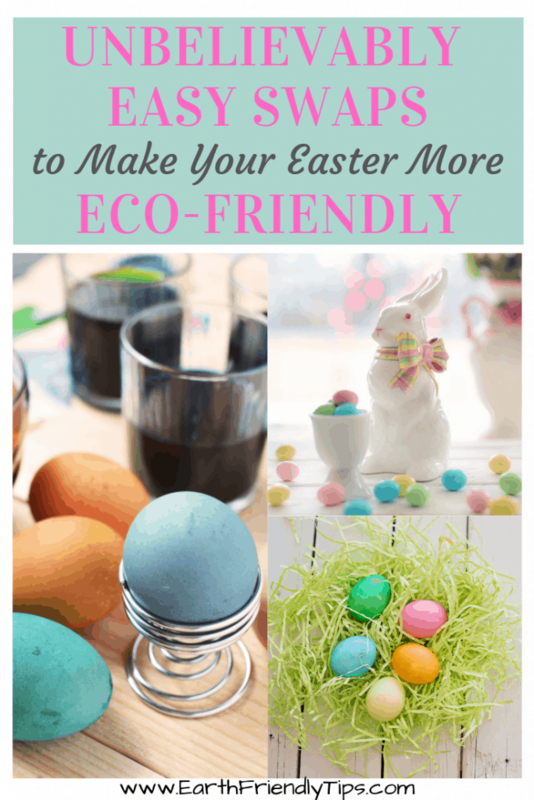 If you want to make your Easter egg hunt more eco-friendly, you have several options. First, you can hide your naturally dyed Easter eggs. Once everyone finds all the eggs, use them to make egg salad or another egg dish. Don’t forget to compost your egg shells so you don’t have any waste. If you prefer reusable eggs for sticking little candies and trinkets inside, don’t go for the cheap plastic eggs that break easily and you can’t recycle. These plant-based Easter eggs are BPA-free, nontoxic, and made in the USA from 100% renewable plant resources. They’re large eggs, so it’s easy to stick special treats inside, and you can use them year after year. However, if one happens to wear down and you can’t use it anymore, it’s also biodegradable. Wood eggs are another eco-friendly option for your Easter egg hunt. You can buy solid wood eggs that everyone can decorate. You can also get hollow wood eggs that everyone can decorate and have room inside to hold a special treat. That little green grass is ubiquitous with Easter, and it gets everywhere. As a little kid, I can remember finding it around the house in the middle of July. I asked my mom why it was there, and she said maybe the Easter Bunny was hopping through. While Easter grass is a fun decoration, it’s not the least bit eco-friendly. It just ends up in the trash and takes forever to breakdown. Fortunately, you have several options when you want to make this tradition more eco-friendly. You can shred green construction paper and recycle it after the holiday. If you don’t care about the color, you can simply reuse paper from your shredder. If you don’t have time to make your own paper Easter grass, Eco Grass has colorful crinkle cut paper made from 100% recycled paper. When you’re done, you can reuse it or put it with the paper recycling. You can also get creative by picking something that you can reuse after the holiday, such as fabric, ribbon, or a scarf. If you don’t want to have any waste at all, use seed paper for your Easter grass. I love this seed paper because it comes in bright colors and pastel colors. It’s also made in the USA with 100% post-industrial recycled content and vegetable-based dyes. When Easter is over, simply plant the paper in the ground and watch the flowers pop up! Once you’ve picked out what type of eco-friendly Easter grass you’re going to use, it’s time to put together an eco-friendly Easter basket. First, skip the cheap and flimsy plastic Easter baskets and go with something you can use year after year. I bought my son this willow basket to use as his Easter basket. For the first few years, I just put some goodies in because he was too young to understand what was going on. Now that he’s older, I let him decorate his basket with ribbon so it’s more personalized. When he eventually gets old enough that he doesn’t want an Easter basket anymore, I’ll then be able to reuse the basket around the house for storage. When you’re trying to come up with ideas for what to put in the Easter basket, consider some eco-friendly options. Wooden toys will last longer than plastic. I also like to put eco-friendly children’s paint in my son’s Easter basket. He enjoys them because he has fun painting. I prefer them because they’re washable, nontoxic, and made with natural earth pigments. 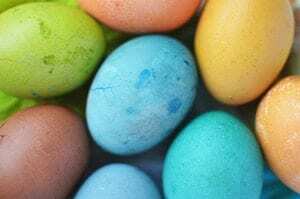 Dyeing Easter eggs is a fun tradition, especially with children. It’s neat to try out different techniques to see what colors and designs you can create. But artificial food dyes used to color Easter eggs are chemical substances made from petroleum. Some dyes may contain cancer-causing contaminants, and others can cause allergic reactions. If you want to dye Easter eggs but you’re looking for a more eco-friendly way to do it, you have another option. Did you know you can easily make natural dye from things you have in your kitchen right now? Instead of throwing your food scraps away, put them to work by using them to make homemade dye. 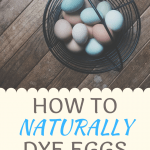 Once you’re done creating your homemade natural dye, you can then use it to naturally dye Easter eggs. Yes, chocolate bunnies are cute. And yes, I’m the type of person who enjoys eating chocolate bunny ears. I can’t explain it. There’s just something so good about them. But think about how those chocolate bunnies come packaged. Most come in a foil wrapper, that’s inside a box, that’s wrapped in plastic. That’s A LOT of trash for one piece of chocolate. Plus, that doesn’t even take into consideration the harm done to the land and farmers during cocoa production. However, you don’t have to skip giving out chocolate to celebrate an eco-friendly Easter. Instead, just choose a Fair Trade Certified chocolate brand, which makes sure cocoa farmers have safe and environmentally friendly working conditions and are paid fairly. UnReal is the candy we buy for our son for several reasons. The company uses less sugar, which is always a plus. Plus, it uses Non-GMO Project verified and Fair Trade Certified ingredients. If you want your chocolate to give back to the world, then choose Endangered Species Chocolate. Not only does the company use Fair Trade Certified ingredients and environmentally sustainable growing practices, but it also donates 10% of net profits every year to protect wildlife and habitats. While you won’t find any bars with bunnies on them (because, let’s face it, bunnies aren’t exactly endangered) you can get a variety pack to try out multiple flavors or get some bars with your child’s favorite wild animal on them. Thanks to these simple changes, my family and I can continue to enjoy all of our favorite Easter traditions without worrying about the harm they cause the environment. 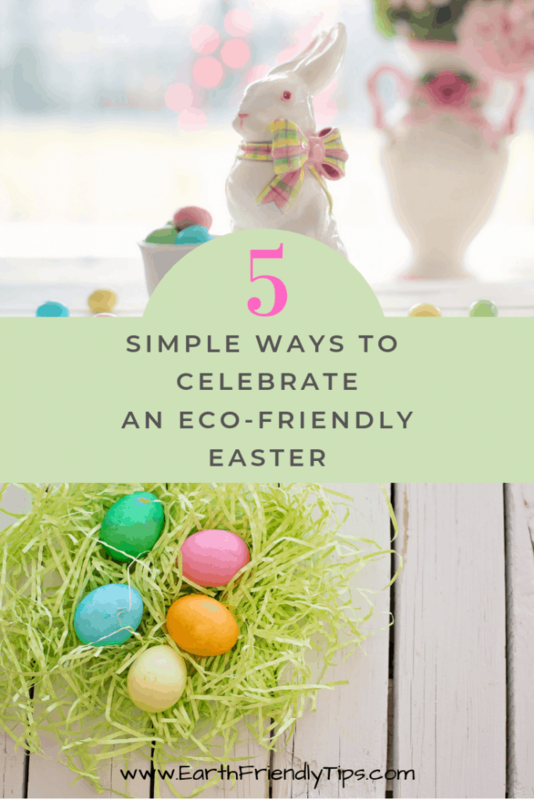 Try out a few on your own to see how simple it is to celebrate an eco-friendly Easter. 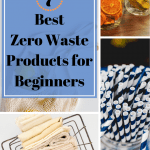 Want even more eco-friendly tips? Subscribe to our mailing list!